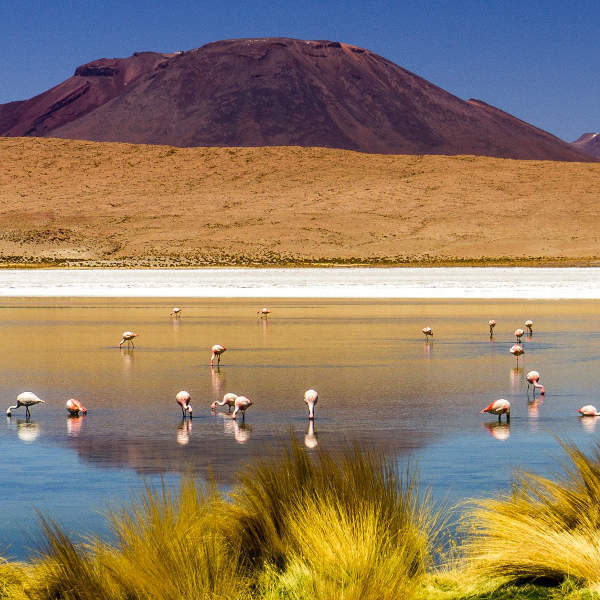 Located in the heart of South America, Bolivia is an explorer’s fantasy. With its majestic snow-studded peaks, ancient Inca trails, ethereal saltpans, and colourful architecture and culture, Bolivia rewards curious and adventurous travellers. Bolivia is home to over 10 million people of various cultures. Popular attractions include Lake Titicaca, Salar De Uyuni and the bio-diverse Madidi National Park. Pack your bags and be swept away by vibrant cultures and natural wonders because cheap flights to Bolivia are now available! The country’s hub airport is Viru Viru International Airport (VVI), which is a 30-minute drive from the centre of Santa Cruz. Explore the villages and countrysides of the various provinces, or get lost in the bustling streets of more modern cities like Santa Cruz and La Paz. The historic plazas, colonial architecture and rich culture is best explored at a slow, leisurely pace. Think extravagant costumes, lively music, folk dancing, and wild characters. Bolivia’s fiestas and celebrations will capture your heart and invigorate your soul. 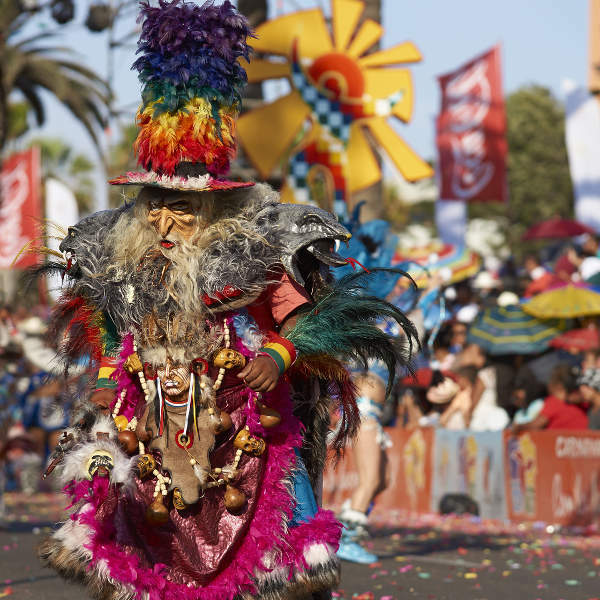 Join the locals in celebrating Carnival – one fiesta that is not to be missed! Bolivia boasts a plethora of natural attractions throughout its diverse landscapes. Meander through canopied rainforests, sail along Lake Titicaca, hike volcanic peaks and marvel at the shimmering salt flats – Bolivia’s scenery knows no boundaries. Bolivia experiences varied climates as a result of its topography and altitudes. Winter (May-October) is the dry season and, even though it is peak tourist season, it really is the best time to visit and make the most of the outdoor attractions. The highlands are optimal for trekking with clear, sunny skies and cooler temperatures. If you suffer from sinus or respiratory issues, be aware that late-August into September is when farmers set fire to cleared forest areas throughout the country. Summer marks the rainy season, between November and March. In the lowland areas and the Amazon, heavy rains hamper road transport, though river transport is more frequent. This is not an ideal time for hiking due to mud slides and intense humidity. Despite the rain, the Andes range flourishes with wild flowers and lush grasslands. Bolivians love a good party, so you can be guaranteed that whatever time of the year you visit, there will be a fiesta to join somewhere! Blending together tradition and religion, some not-to-be-missed celebrations include Oruro Carnival (February), Fiesta del Gran Poder (May) and Amayra New Year (June). Nestled in the heart of South America, Bolivia is an untouched jewel waiting to be explored. Bolivia’s landscapes are curiously fascinating. The Andes languidly stretches across the country, interspersed by the Altiplano desert plains; while the Amazonian rainforest boasts a kaleidoscope of fauna and flora. Lake Titicaca is the sparkling gem of Bolivia with its turquoise waters lapping the shores of Copacabana town. A boat trip across the lake to Isla del Sol will lead you to ancient Inca ruins, ethnic villages and the most breathtaking scenery. Along the southern shore of the lake lies the sacred area of Tiwanaku – a UNESCO-acclaimed Pre-Columbian archaeological site. The world-famous Salar De Uyuni salt flats, located in the south-west, are a photogenic splendour with their ever-changing landscapes and lighting. This vast white desert is home to a salt hotel, natural hot springs and beautiful, pink flamingos. 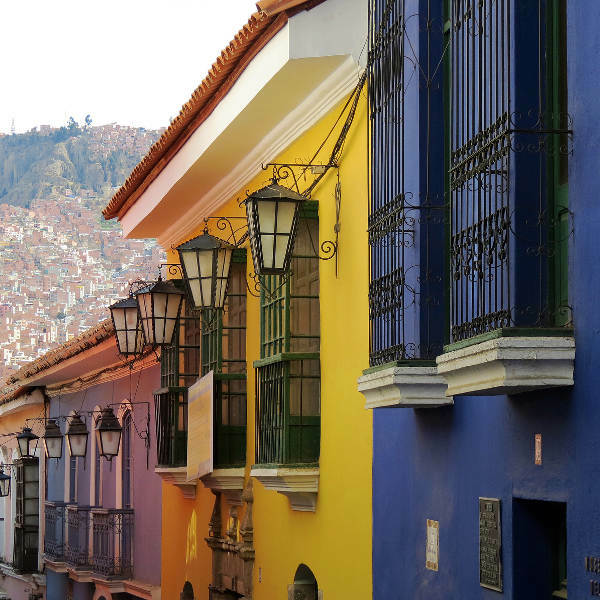 With its combination of quirky cafés, modern restaurants, traditional markets and colonial architecture, La Paz is the cultural capital of Bolivia. Backdropped against the snow-capped Altiplano peaks, popular attractions include the world’s highest cable car boasting panoramic views and the famous Witches Market, where you can pick up interesting potions and bizarre souvenirs. Dare-devils can cycle the treacherous, winding terrain of Yungas Road (more grimly known as ‘Death Road’) connecting La Paz to Coroico. Just outside of La Paz, lies a carpet of clay and sandstone stalagmites named Valley of the Moon. The dramatic landscape makes for interesting walking tours and trails through the rocky valley. Discover the historical treasures and cultural attractions of the beautiful capital, Sucre. Santa Cruz is a melting-pot of modernity and tradition - home to Bolivia’s best nightlife and cuisine. Explore the Tarija wine region in the southern highlands where you can sample the finest reserves. Compare several airlines, and book your cheap flights to Bolivia online at Travelstart! Compared to some of its Latin American neighbours, Bolivia is a fairly safe country to visit with a low rate of major crimes towards tourists. A comprehensive travel-insurance policy to cover theft and medical expenses is always recommended. The larger cities of La Paz, Santa Cruz, Sucre and Cochabamba have recently seen an increase in pick-pocketing and mugging, so be vigilant and avoid wearing flashy clothes and equipment. Rather carry a copy of your passport and leave the original locked away with other valuables in your hotel safe. Bus terminals and marketplaces are hotspots for targeting tourists – should you be approached by ‘policemen’ wanting to see your papers, walk away and don’t let them search you. Only use marked taxicabs. Public transport is available in the form of licensed ‘’radio taxis’’, public buses and shared trufis. Regarding health, travellers to Bolivia are required to have a yellow fever vaccine 10 days before travel. The northern and eastern areas of Bolivia are more prone to yellow fever epidemics. Recommended vaccinations include typhoid, hepatitis A and tetanus. Avoid eating street food and stick to drinking bottled water. If you plan to head up towards the Amazon, consider taking anti-malaria medication. In higher-altitude regions like La Paz, you may experience soroche (altitude sickness) when you first arrive – stay well-hydrated and get plenty of rest. Soroche pills are recommended, but do not buy them in Bolivia as they are often laced with other chemicals. Be wary of stray dogs in the cities and rural areas – see a doctor immediately if you get bitten. The scorching sun and thin air can be uncomfortable, so bring lots of sunscreen.